“Giving back one glass at a time,” is the idea behind the Cincinnati International Wine Festival, coming up March 7-9. It’s a blend of supporting the community and appreciating wine. The 29th annual Cincinnati International Wine Festival is a charitable, non-profit organization founded to promote the wine industry and raise funds for local charities. This year, the weekend of wine kicks off with an exclusive Winery Dinner Series held simultaneously at more than a dozen of Cincinnati’s finest restaurants, ONE NIGHT ONLY – March 7. Enjoy a chef-selected, multi-course dinner at your favorite restaurant, complemented by a unique wine pairing chosen exclusively by that restaurant’s featured winery! TICKETS ARE LIMITED! RESERVE YOUR TABLE NOW! CLICK HERE! Grand Tastings are March 8-9 at the Duke Energy Convention Center! Enjoy more than 700 wines from 200 wineries. Your ticket includes unlimited wine tastings, a Riedel wine glass, unlimited food by-the-bite, a tasting guide, a complimentary coat check and more. Tickets to a variety of Education Sessions and a Special Tasting Room are also available prior to each Grand Tasting. Lower-priced tickets are available on FRIDAY NIGHT for the BEST HAPPY HOUR IN TOWN! UNLIMITED ACCESS weekend passes are available as well. So grab your gal pals now, and don’t miss this incredible weekend of wine! Little Black Dress Event THIS Thursday! Our last event (the dip-you-own Pink Maker’s Mark wax) at DEPs in October was a HUGE success with more than $2,400 raised for the Pink Ribbon Girls! Now, we’re at it again, but this time, we’re channeling our inner Audrey for a LBD-themed event with Little Black Dress Wines! Check out all the info below and RSVP here! It’s only $10 and 100% goes to Dress for Success! Plus, you could end up winning the prize pack valued at $500 total (jewelry gift certificate, and dinner for two at LaPoste!) just for wearing an LBD to the event! Can’t wait! See you there! Maison Joseph Drouhin Wine Relaunch, Campaign to Win $5k! I’ve been getting into wine for the past few years, and running an online business, I’m always on social media. So, when I saw that Maison Joseph Drouhin — a vineyard and winery based in Burgundy, France — is re-launching two of its signature wines, Laforet Chardonnay and Laforet Pinot Noir, with a social media campaign, you know it had my attention. Happy Hours: Maison Joseph Drouhin will also be hosting a series of casual happy hours, many of which will have live music, in cities across the country. 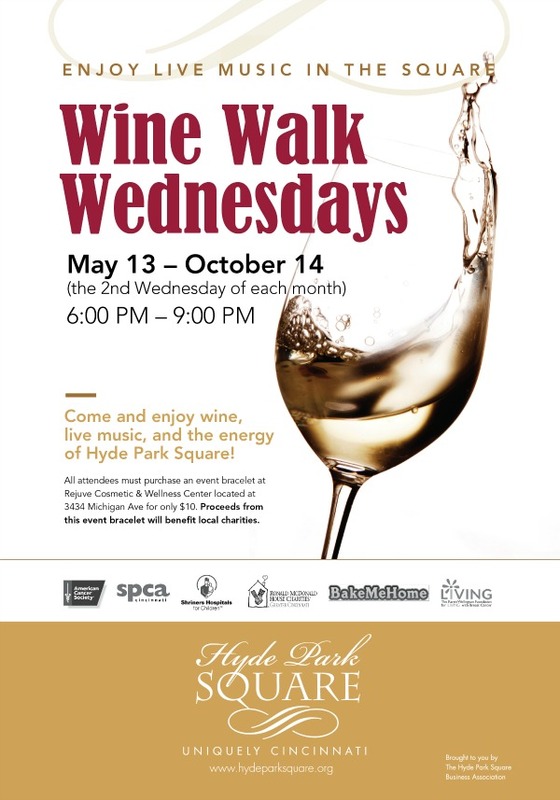 Both wines will be offered for $5 per glass (which is significantly discounted compared to the usual price of between $10-15). The idea is to create a casual environment in which new consumers can discover the wine and learn about the style of the famed region from which it comes (Burgundy). 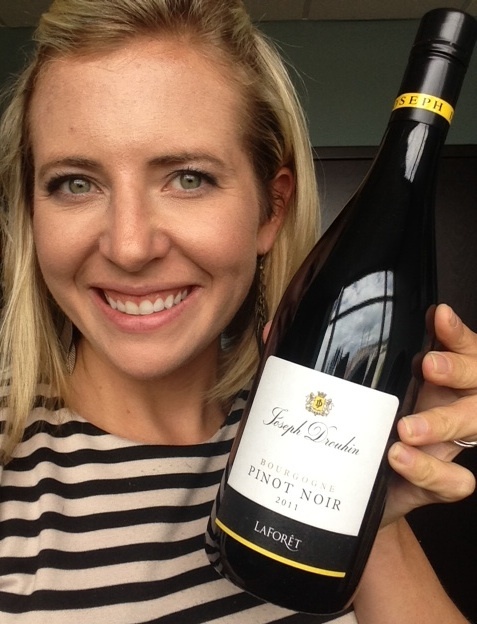 My hubby and I had the chance to enjoy the relaunched Maison Joseph Drouhin Chardonnay and Pinot Noir. Pete likes his reds and I’m typically a sauvignon blanc (white) gal, but I thought I’d try something new. It was lighter and not as “oaky” as Chardonnay can tend to be. I did like it – especially when it was super cold (perfect on a hot day like this Saturday was!). Then we tried the Pinot Noir, and that was our absolute favorite. We used our wine aerator, which infused it with oxygen and gave it great flavor. We grilled out steaks and this paired perfectly with it. Yum yum yum… definitely recommend!